Jules' Got Style - Boutique Girls Clothing Blog: Fall Into Savings! Price Drop on Livie & Luca, Lemon Loves Lime, Baby Sara and More! Fall Into Savings! Price Drop on Livie & Luca, Lemon Loves Lime, Baby Sara and More! Fall savings start now! 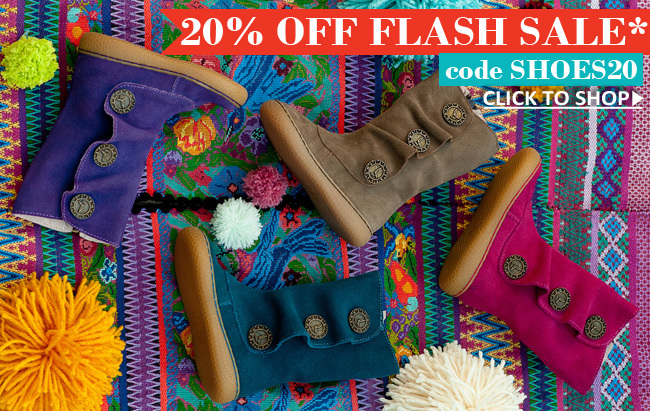 Today through November 16, 1 pm EST, enjoy 20% off during our Livie and Luca flash sale. Just use code SHOES20 at checkout! Shop adorable Livie and Luca Marchita boots, popular Livie and Luca Ruche shoes, cute Petal Pat shoes and many more styles. The sale excludes new Livie and Luca Pro Tempore Petal Pat shoes and delayed Hopper boots. Not valid on past purchases. Click here to shop Livie and Luca sale. SEE BELOW FOR EVEN MORE SAVINGS ON BOUTIQUE KIDS CLOTHING!!! Save 40% on cute and comfortable playwear by Lemon Loves Lime – one of our favorite brands here at My Little Jules boutique. Known for its quality, softness and attention to detail, Lemon Loves Lime if so much fun for girls to wear! Hey, Paper Wings fans! The time has come! Shop this cute girls’ boutique clothing brand at 40% off during our big Paper Wings clothing sale! Most of these garments are made of organic cotton and will sure to become your girl’s go-to outfits. Style and warmth never looked so good together! My Little Jules makes them look even better by offering you a 30% discount of beautiful Mack and Co coats. From stylish fleece coats to cozy puffy coats, find something special to keep your girl warm. When southern charm meets modern-days girl, beautiful things happen. This is the inspiration behind Owls and Bats clothing. Shop this sweet collection and save 35% on outfits your stylish girl is sure to adore! Peaches and Cream clothing is the most established brand we carry. And now is your chance to get these beautiful 5-star outfits at 35% off! From beautiful coats, to holiday wear, to everyday outfits, Peaches and Cream clothing has something for every occasion. Baby Sara clothing offers the sweetest outfits for toddler girls ages 2 through 7. Outfits are made from super soft fabrics and feature such exquisite details as crochet, attached leg warmers, flowers and vintage-inspired embellishments. These inexpensive toddler girl sets just became even more affordable with our 25% off NEON by Sara Sara sale! Among the top sellers are this cute Puppy Love set, Smart Cookie set and Macaroons set. Each outfit comes with a pair of coordinating fun leggings. Haute Baby is a beautiful, high quality girls’ boutique clothing line that offers cute outfits for girls of all ages. No matter is your stylish diva is 3 months or 6 years, you will find a cute outfit when you shop our Haute Baby clothing sale. Wow family and friends at Thanksgiving dinner with these cute fall outfit by Giggle Moon baby. Giggle Moon Thankful Hearts and Treasured Possessions collections are now 25% off for your shopping pleasure! Sophisticated yet girly and sweet, Mustard Pie Clothing fall 2014 collection was a huge hit with our customers. Now is a great time to grab Mustard Pie outfits without breaking the bank during our Mustard Pie Clothing Sale. Yay! Our fist every Jak and Peppar sale launched just a few days ago and is going strong. Still have a few must-haves on your list? Shop now – they won’t stick around for long. Jak and Peppar comes in sizes 2T through 16 years for girls of all ages to enjoy. Persnickety October Sky and Persnickety Clothing Autumn Splendor collections are now 20% off. Shop these stunning fall outfits for special occasion and everyday wear. And don’t forget about coordinating little sister looks from Baby by Persnickety Clothing collection! Kate Mack is a world-renowned girls’ boutique clothing brand famous for its girly fashion-forward designs and high quality. Once you try this cute designer girls’ clothing collection, you will be hooked. Save 25% during our Kate Mack clothing sale! They coordinate, yet do not match! Chooze shoes were created for fun-loving girls who want to express their vibrant personalities through style. What’s more, Chooze educated and provides financial support to low-income women to help them start their own businesses. She will educate all of her peers on style in these cute outfits from Sado clothing! Now 25% off, Sado is a great brand for everyday outfits with a boutique flair. Designed by a creative mom of 5 and made in the United States, Sado will become one of your favorite brands! Ooh La La Couture dresses are perfect for sassy girls. These sweet tutu dresses feature such details as Swarovski crystals, tulle ruffles and sparkly sequins. Shopping for cute girls’ birthday dresses or Christmas dresses for kids? Check out our Ooh La La Couture sale. Don't forget that SHIPPING IS FREE on orders $79+ in the US and Canada. 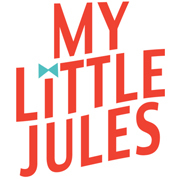 My Little Jules offers $5 off first-time customer discount with code WELCOME. We also offer flexible layaways with our Easy Payment Plans. Pay only 15% down on the day of your order and take 2 to 8 weeks to pay off the rest. Simply use code MLJPaymentPlan at checkout. Click here to learn more.